In 1951, the American army arrived at RAF Langham to establish their own centre for anti-aircraft training and testing. Like the British, they found it was the perfect location – a short distance from the coastal artillery ranges of both Stiffkey and Weybourne. The huge American airbase on the Morston Road, with all its flags and stars and stripes, seemed pretty garish. A complete contrast to what had been there five or six years before’. Peter Mitchell, son of the British Army Searchlight Battery commander at Langham. It was at Weybourne in 1954 that the Americans gave the European debut to the new ‘Skysweeper‘ gun – the first anti-aircraft gun with inbuilt radar and computer. To cope with the faster speeds of jet aircraft, the M51 Skysweeper was created to replace the Bofors AA gun. But just three years later, the ‘Skysweeper’ was almost obsolete. The even newer technology of the Surface-to-Air Missile (SAM) had arrived. The Americans held a farewell party in Hangar No. 2 and then left Langham for good. A year later, with all anti-aircraft training activity at Langham finished, the airfield closed. Hundreds of aircraft were here in the 1950s, flew from the coast and were shot down. But they were only 12 feet (3.6m) long. The American gunners’ new, highly secret, state-of-the-art targets were large model aircraft, known as RCATs (Radio Controlled Aerial Targets). The Radioplane OQ-19D – unlike a towed target – could realistically simulate a head-on diving attack. These could be flown to imitate the movements of an attacking jet fighter and the trainee gunners could fire without fear of killing a pilot. At Weybourne, the RCATS were launched from a mobile catapult. At Stiffkey they used a method, common in the States but unique in England. They accelerated up to take off speed – 85mph (137kph) around a circular runway, while tethered by a cable to a pole. This is known locally as the ‘Whirlygig’. 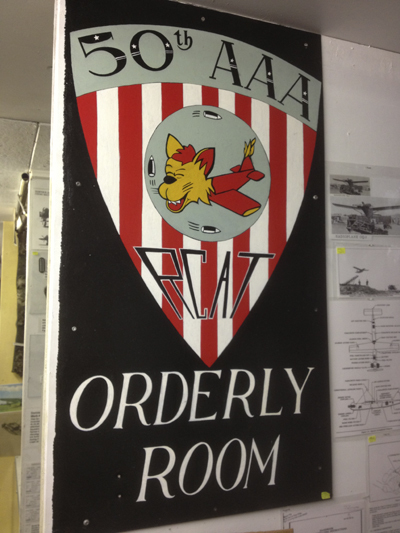 This original American army sign from Langham is now on display at the Suffolk and Norfolk Aviation Museum. © Ugly Studios. RAF Langham is situated on the coast between Stiffkey and Weybourne. © Ugly Studios. 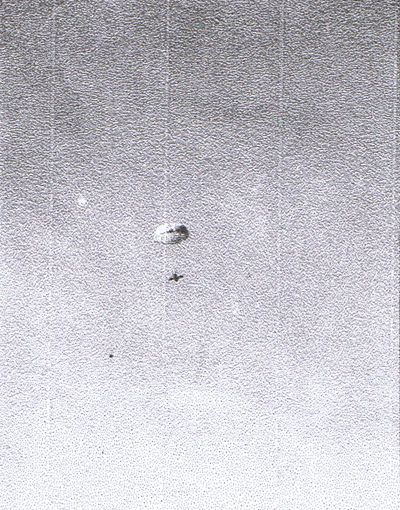 An RCAT descends by parachute after being shot down. © Larry Anderson. An RCAT is readied for launch at the Stiffkey 'Whirlygig'. © Larry Anderson. 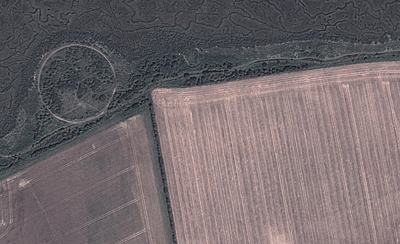 The circular runway can still be seen today, along the Norfolk Coast Path at Stiffkey Marsh. Find out more at the Rescue Wooden Boats Visitor Centre at Stiffkey. © Bing.